When Should You Cancel a Credit Card? Almost Never! Credit card companies are my biggest allies in my constant search for great deals. Not only do they offer me amazing signup bonuses and give me free points and miles, but they also allow me to travel the world for nearly nothing! As a credit card expert, I'm often asked by friends, family and readers about whether or not they should cancel one of their cards. My answer? Don't. Here's the way I handle it. I know that having several credit cards open in good standing improves my credit history, so I have no problem hanging on to cards that I have applied for, even if I rarely use them. 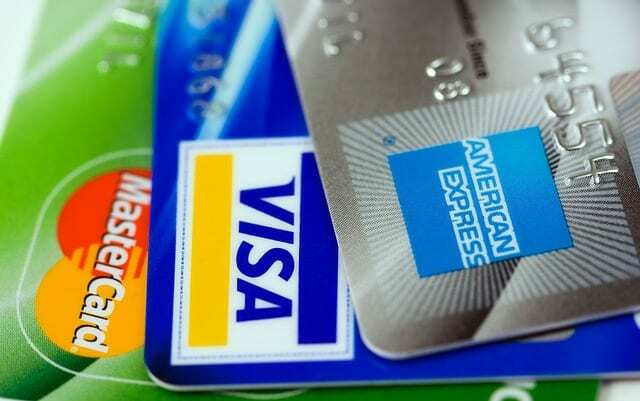 One of the biggest myths about credit cards is that you can have too many. That is not even close to being true! First, the length of your credit history has a big influence on your credit score, so dropping a card is a bad move since it kills the length and breadth of that history. In addition to that, you have to think about your credit utilization ratio. When you cancel a credit card, your available credit shrinks, making your existing credit card debt a bigger percentage of the whole. So if you carry any credit card debt at all, between losing that card's history and increasing your credit utilization ratio, closing a card will hurt your overall credit score! The only downside to keeping every credit card you own open, is that many require an annual fee. Here are some other reasons why I keep all my cards open. A signup bonus usually means there's no reason for me to even consider canceling my card for at least a year, when the annual fee is due. Usually, I find that most of my cards have some value, and I continue using them to rack up points, miles and cash back. In some cases, I've received some great bonus offers in the mail for double or triple points if I make certain purchases during a limited time. If I canceled all my cards before I renewed them, I wouldn't get access to offers like this quite as often. For example, my Hyatt card from Chase occasionally offers me 5,000 bonus points after spending $3,000, and my Citi AAdvantage card sometimes gives me triple points for purchases from gas stations, grocery stores, and drug stores. 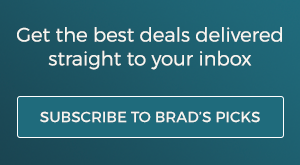 Other cards, like Chase Freedom's five percent cash back on rotating categories, offer incentives above and beyond just the initial signup bonus. Airline credit cards offer perks like free checked bags and priority boarding, and hotel cards usually grand me low to mid-tier elite status, which means I can enjoy room upgrade, late checkouts and free internet almost every time I travel. The Discover It Card gives me access to a free monthly FICO score on my statement, and the Lufthansa Premier Miles & More World MasterCard gives cardholders a free companion ticket annually. What about those annual fees? So I am enjoying the benefits of my card, even if I never use it to make a charge, but then what do I do when the annual fee comes due? It's simple. I just call the bank and ask to have it waived. About half the time, they will waive the fee, usually by issuing a statement credit in the same amount. About a quarter of the time, I might be offered some amount of points or miles if I agree to pay the annual fee. If they offer me enough points or miles and the fee isn't too bad, I'll agree. Otherwise, I have to decide if the ongoing benefits of keeping this card are still worth the fee. Unfortunately, I find that some cards, particularly the ones with the highest fees, won't even budge when I ask to have these fees waived. I often have better luck with low-fee credit cards. And of course, credit cards with no annual fee avoid the problem entirely. So when is the ONLY time I will cancel a card? In cases when the bank won't waive the annual fee, won't offer me enough points or miles, and the card really isn't worth paying the fee, I will reluctantly cancel the card. It's worth noting that you won't have to pay the annual fee on a card you cancel, as most credit card companies will remove that charge if you cancel within a month or two of being charged that fee. End of story? Not quite, it doesn't take too long after canceling the card that the bank once again considers me to be a "new cardholder" when I reapply. That means that I apply again, and earn another a big sign up bonus, and the process starts all over again! Do you cancel your cards before the annual fee kicks in? Let us know your credit card strategy in the comments!